Bachelor's level or Undergraduate is one of the most important phases in academic field. Bachelor’s level study begins soon after the successful completion of intermediate level. 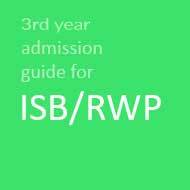 Every year, all the educational boards announce the intermediate annual exams result in September and after the declaration of inter results the procedure of admissions in bachelor’s programmes begins. The private and government sector institutes in Pakistan offer wide range of two, three and four years courses at bachelor's level from which the aspirants chooses the courses according to their field of interest. Medical and Engineering field is only taken by the aspirants who have studies Pre-Medical or Pre-Engineering at intermediate level. To get admission in medical and engineering courses in any medical and engineering university it is also mandatory for the aspirants to appear in MDCAT and ECAT exam after completion of intermediate annual exams as the admissions in medical and engineering programs depends on the result if entry test exams and inter level annual exam. On the other hand, many universities in Pakistan also require NAT-I test to apply for admissions in bachelors level programs. So it is mandatory for the aspirants to appear in Nat-I test if they wants to apply for bachelor’s admissions in any NTS associated university. 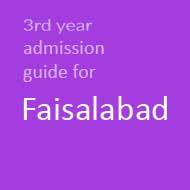 All the colleges and universities in Pakistan both private and public sector offer admissions to the students at bachelors level if they meet the eligibility criteria set by these institutes. The general eligibility criteria to apply for the bachelors level admission is the students must have secured at least 60% marks in HSSC annual exams. Annually after the declaration of intermediate annual exams result, the colleges and universities sin Pakistan open admissions at bachelor’s level and for this purpose these institutes also publishes the admissions ads in various top leading national newspapers and also upload these advertisements on their official websites. Afterwards, the students seeking for the bachelor level admissions are required to collect the admission form from the college or university in which they wish to apply. The candidates are required submit the duly filled admission form along with the required documents within the given period of time. Then the government sector colleges and universities will display the merit lists on the given date. After the display of merit lists the selected students are required to deposit their dues as soon as possible. 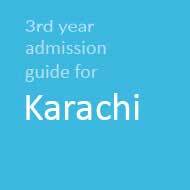 kia koi essay method hai k mera one year gape na rahy or main 1 year main ba kr lon. mery 670 marks hay improvement kibbad kia muje bs science field may addmission mil sakte hy?